There’s a hidden treasure in Wilmington, Delaware. 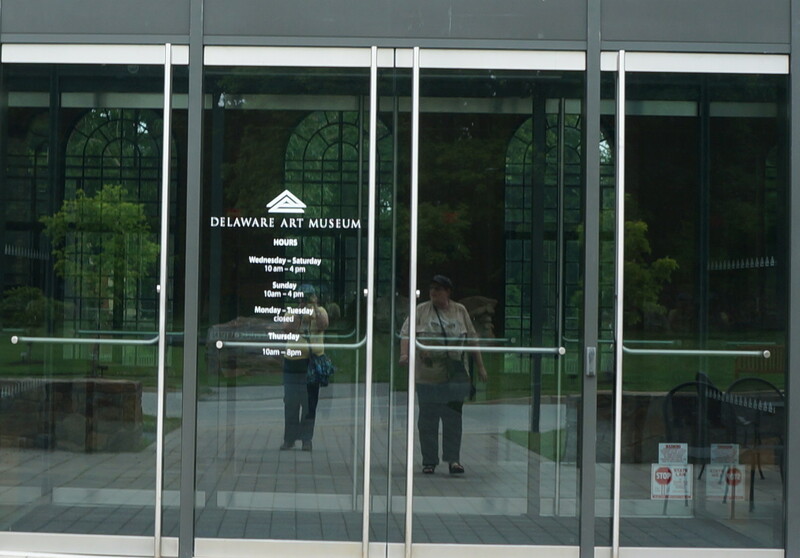 It’s a collection of nineteenth century and early 20th century original illustration paintings for books, newspapers and advertising at the Delaware Art Museum. Sounds dull or esoteric? Not at all. This was the Golden Age of Illustration and here are some reasons for why you should visit the museum. Did you see Disney’s “Pirates of the Caribbean?” Then you’ll enjoy the bedrock of the illustrations – the work of Howard Pyle. When creating work for the widely read Harper’s Monthly Magazine, he had to imagine what the pirates looked like, which created our modern image of piracy – see Buccaneers from 1905. Back to Pyle. His work was influenced by the great artists that came before him – such as the Pre-Raphaelite Brotherhood (which are also on display), and influenced future generations to come. Besides being a great illustrator, he was a great teacher. Many of his students’ work are included in the exhibit – including N.C. Wyeth and Frank Earle Schooner. Notably, many were women such as Ethel Franklin Betts Bains whose “Birds and Rooftop with Apple Blossoms” is on display, and her sister Anna Whelan Betts. Katharine Richardson Wireman who created paintings for Collier’s Weekly, Harper’s Bazar (spelled that way) and Cream of Wheat studied under him. Some paintings are for writers who are now little-known. An exquisite piece done in brown, cream, and black was done for a 1902 Jeannette Lee mystery for Scribner’s Magazineabout forged Albrecht Durer drawings titled “The day shall declare it.” Lucy Foster (Madison)‘s popular “Peggy Owen” series was set during the Revolutionary War. There is nothing like seeing an original painting. There is beauty in the original, that often doesn’t come through in reproduction. Besides the illustration exhibit, there’s also the “The Puzzling World of John Sloan.” Sloan’s decorative puzzles appeared in the Sunday newspapers supplements in the Philadelphia Press in the early 1900s. They show the influence of art nouveau and other modern art techniques. He also did other work for the newspapers. 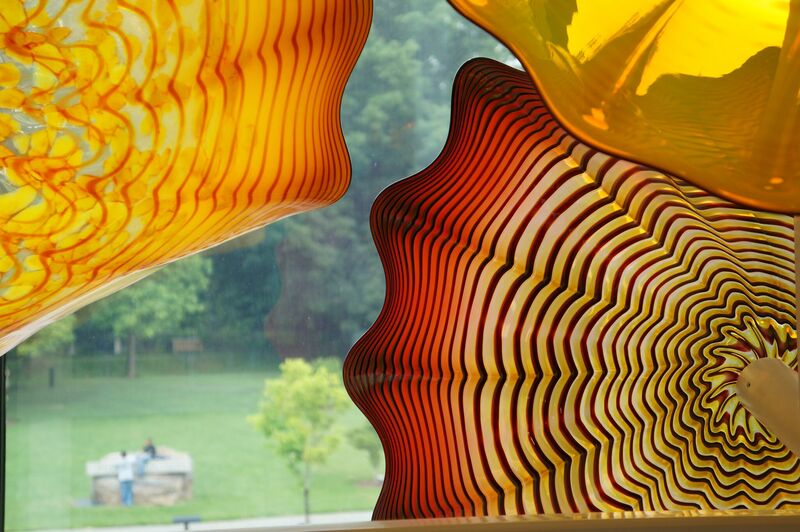 The museum has Chihuly glass hanging in the foyer and provides public tours on Saturday and Sunday.